Orange Stinger Attraction at Paradise Pier at Disney California Adventure; opened February 8, 2001, and closed on July 13, 2009. 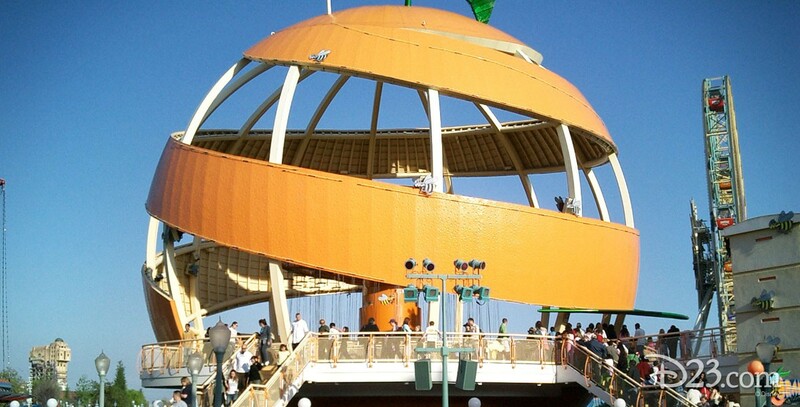 Guests whirled on “buzzing bumblebees” inside a giant peeling orange. Reimagined as Silly Symphony Swings on June 11, 2010.